Wargaming.net is removing all paid advantages from its online games, and won't be implementing them for future releases. Over the past few years, many online games have experimented with free-to-play microtransaction models, offering fans combinations of paid and free content. It's worked well for many developers, but in some cases it's led to "pay-to-win" scenarios where free players get crushed by paying customers and their premium weapons. It's not much fun for anyone looking to experience a game, but some creators are slowly understanding the error of their ways. One recent example is World of Tanks developer Wargaming.net, who announced it will be removing all paid advantages from its games and keeping them out of upcoming releases. "Wargaming is a company delivering free-to-play online games, and we strongly believe that you can't provide a truly triple-A free-to-play experience without absolutely making sure all combat options are free of charge to all players," VP of publishing Andrei Yarantsau told Gamasutra. "We don't want to nickel and dime our players -- we want to deliver gaming experiences and services that are based on the fair treatment of our players, whether they spend money in-game or not." 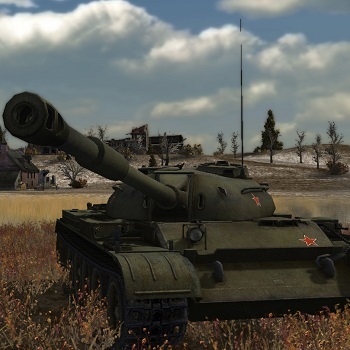 This isn't to say that World of Tanks, or the upcoming World of Warplanes for that matter, will drop microtransactions - Wargaming still wants to make money on its games after all. Instead, the developer calculated that it can collect substantial revenue from non-advantageous content like custom vehicles or personalization options. "We don't want World of Tanks players to feel like it's an experience that only a select few can afford," Yarantsau added. "Quite contrary, we want the game to embody accessibility and fairness to all players, paying or not."